There is a lot of activity leading up to the next transfer window, but everything else pales in comparison to the rumors coming out of Real Madrid. According to the publication Don Balon, if the rumors are true, Florentino Perez has pulled off a coup. Don Balon says that Perez has spoken to Neymar’s father and convinced the player’s camp to move in the coming seasons. The potential transfer deal which will probably break more records is believed to be for two to three seasons. The reports add that Neymar’s move to PSG was temporary and was more out of frustration at Barcelona than a genuine interest in moving to the French club. His performances in the league so far have increased demand for his services. Cristiano Ronaldo is close to retirement and rumors indicate a possible retirement at the end of next season. Neymar would be a fitting replacement for Ronaldo and will join an elite set of players who have played for both Real Madrid and Barcelona. 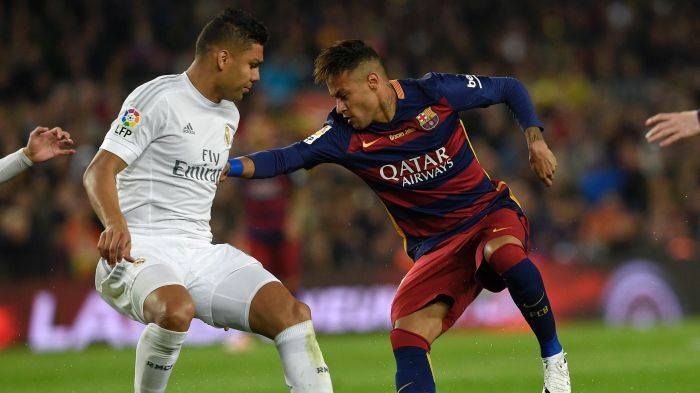 Perez always wanted Neymar and narrowly missed out on signing the young star when he was on his way out of Santos. As rumors go, these are quite plausible, considering that most people did not believe that Neymar would leave Barcelona in the first place. It is possible that after two seasons at PSG, Neymar will be back in the La Liga.